In a medium bowl whisk together olive oil, vinegar and dressing mix. 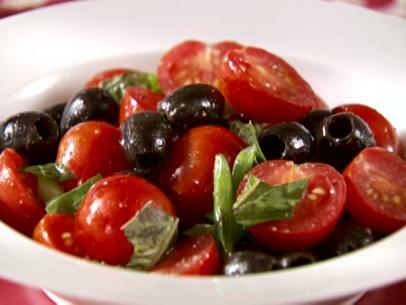 Add cherry tomatoes, olives, basil and sliced scallions to bowl. Toss to combine.